Solar Panels are a great way to help your new roof pay for itself. With energy savings and property value appreciation – solar power is a smart investment. Solar Panels can generate up to 8-10% return on investment. 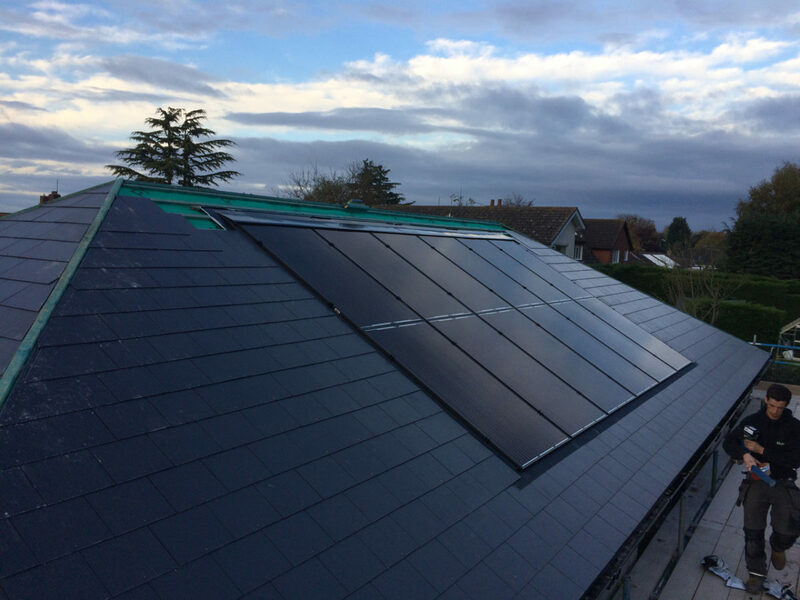 We offer bespoke solar panel installation packages. Either as an integrated part of a new or replacement roof – or as an addition to your existing roof. In today’s modern world it seems almost mad that we don’t all already use technology like solar power. Harnessing free energy from the elements. 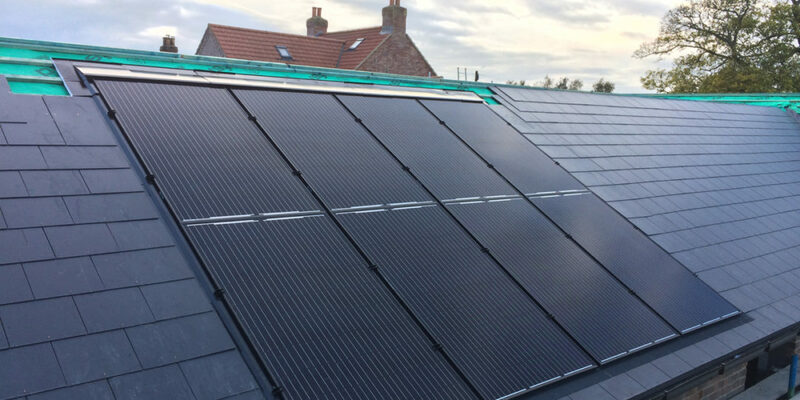 Those who have already opted to install solar panels on their roof have seen fantastic savings in energy bills – effectively paying them back for their initial investment. As well as doing their bit for the environment. 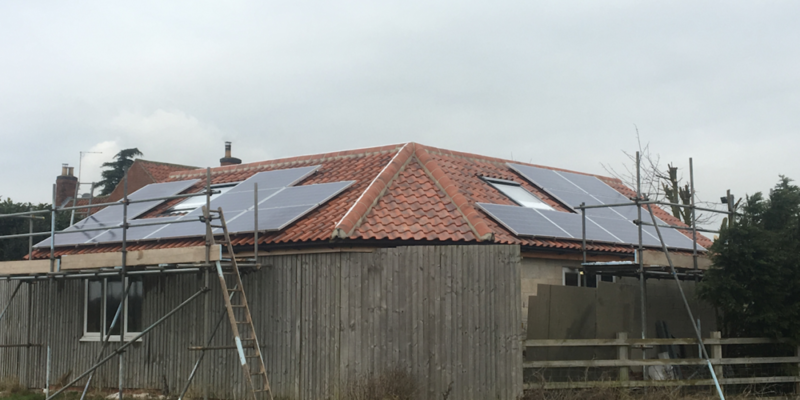 Our unique relationship with Lincoln’s premier alternative energy supplier, UK Alternative Energy means we are able to offer our clients extra savings by combining both roof installation and solar panel installation into one job. This ensures that everything is installed correctly and professionally, giving total peace of mind. 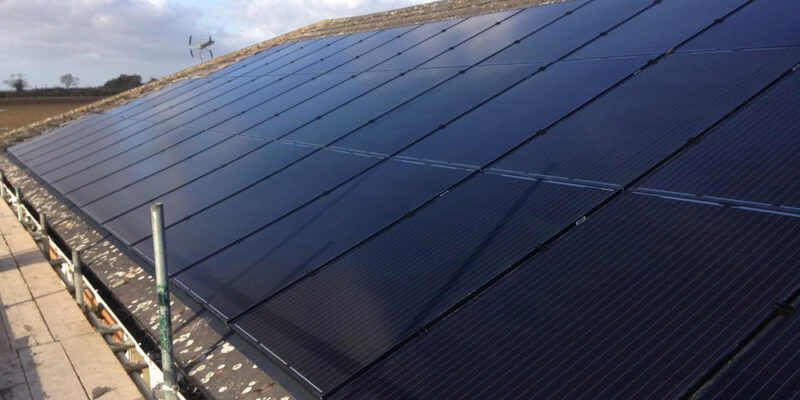 Your energy saving mission doesn’t have to stop there, UK Alternative Energy also offer more ways to help you move your property off-grid, check them out here.